The following basic points of understanding in Michigan worker comp settlement case, from The Law Offices of David Zimmerman, in Sterling Heights, MI with great experience in Michigan courts throughout the state. We will evaluate your situation and present you with the available settlement options. We've helped many injured workers in Michigan negotiate lump sum settlements in workers' compensation cases. 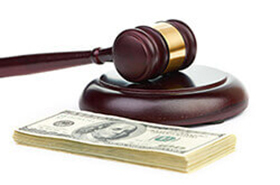 There is much to consider in determining a fair lump sum settlement amount. This quick guide will help you with the basics. The majority of workers compensation cases are settled because either side can lose at trial. Your employer or its insurance company could get stuck paying workers compensation benefits for years. You could also lose and get nothing. This provides plenty of incentive for both sides to resolve their differences short of trial. Please keep in mind that a workers compensation judge or magistrate can only order the payment of weekly benefits and he cannot award you a verdict for a lump sum of money. The only way you get a lump sum in Michigan Workers Compensation, by and through a settlement. The primary benefit to settlement, of a Michigan Workers Compensation Settlement , is that you can receive a lump sum payment instead of weekly checks. You will no longer be bothered by your employer or the insurance company. The independent medical examinations and the surveillance will stop. You are free to move on with your life and even get another job. You usually sign a document that you will not reapply for employment with the company that you were hurt at, but you can work anywhere else in your city, state, or the world. A workers compensation settlement in Michigan is usually a good idea if you have reached maximum medical improvement (MMI). This means that no further medical treatment will improve your condition. If you still need a major surgery or acute treatment, it may be better to wait, until you are closer to MMI. Of course every Michigan Workers Compensation Case is different, and occasionally cases are settled with the idea that future treatment monies are included in the Michigan Workers Compensation Settlement. Can You Get State of Michigan Workers' Comp and SSD at the Same Time? Getting Michigan Workers Compensation weekly benefits and Social Security Disability Monthly benefits, at the same time: Yes you can, however, Social Security will reduce your monthly benefit if your combined work comp and Social Security payments exceed 80 percent of your average current earnings. But you can avoid this offset by settling your workers compensation case for a lump sum payment. The law allows you to prorate the workers compensation settlement over your lifetime, which reduced or in most cases, eliminates any offset. Most people in this situation settle the Michigan Workers Compensation Claim because you can take a lump sum and still collect your maximum social security benefit on a monthly basis. Another time you should consider settling your workers compensation case is if you are receiving long-term disability (LTD). This is a type of insurance that pays a portion of your salary if you cannot work because of a medical condition. It is typically purchased as part of a group policy with your employer. LTD does not normally cover work injuries and you can rarely collect workers compensation at the same time. Many employers will force you to claim LTD instead of workers compensation, because it is cheaper for them. If you settle your workers compensation case for a lump sum, you can allocate the money over your lifetime. Our workmans comp attorneys have been very successful in getting insurance companies to accept this allocation and having them continue to pay long-term disability with only a small monthly reduction. This allows you to get both a Michigan workers compensation settlement and long-term disability. Every injured worker and workers compensation lawsuit is different. But even when you are being paid workers compensation benefits on a voluntary basis, it may be in your best interest to settle your claim. This is especially true if your doctor is going to release you to work and you do not wish to return to your job. If your doctor says you can work without restrictions, your entitlement to wage loss benefits ends at that point. Settlements are income tax free. If you have any question about the possibility of a workers compensation settlement in Michigan, please call the Law Offices of David W. Zimmerman. We will sit down and investigate your case and the possibility of settling your workers compensation case, at no charge.